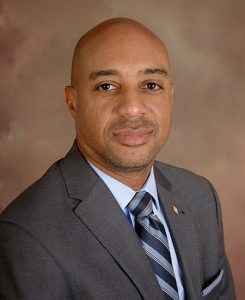 After earning his Bachelor of Arts and Juris Doctorate degrees from Wake Forest University, Attorney R. Keith Shackleford associated with the law firm of Warren, Perry & Anthony in 1996. He remains a member of the firm now known as Warren, Shackleford & Thomas. Keith represents clients in planning their estates, probate administration, business purchase and start-up and civil and criminal litigation. Advocating for his clients, he has appeared before the Office of Administrative Hearings, Real Estate Commission, Federal District Court, U.S. Bankruptcy Court, the N.C. Industrial Commission, N.C. Court of Appeals and the Superior and District Courts of North Carolina. Although Keith’s litigation practice initially focused on personal injury and criminal matters, his practice has expanded. His practice areas now include drafting wills and trusts, administering probate, guardianship, caveat proceedings, property disputes, contract drafting, review and disputes and general civil litigation. He has represented clients in claims against the State of North Carolina. Appearing before the Real Estate Commission, he has defended clients’ real estate licenses. He has represented clients in disputes arising from injury to real property, adverse possession, boundary disputes, nuisance and breach of restrictive covenants. Keith is licensed to practice law in the State of North Carolina and in Federal District Court, Middle and Eastern Divisions. Keith served as a commissioner on the Housing Authority of Wake County Board from 2000 until 2016. He was elected to the Board of Directors of the Wake County Bar Association and appointed to the Tenth Judicial Bar Grievance Committee, investigating grievances against attorneys. He also served on the Board of Trustees for Wake Technical Community College for eight years. He is a member of the Fishburne-Hudgins Education Foundation, Inc. Board of Trustees. This Foundation owns and operates Fishburne Military School in Waynesboro, Virginia. He is an active member of Kappa Alpha Psi Fraternity, Inc.